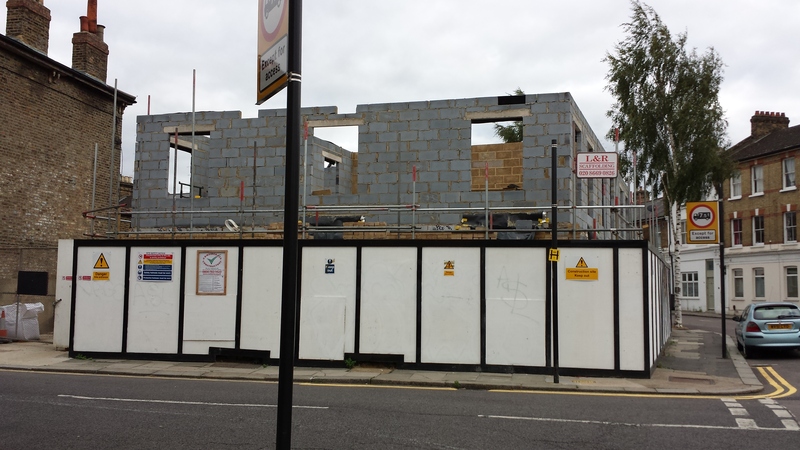 After many, many years as an empty lot building work has finally started on the corner of Wingmore Road and Hinton Road. Image taken from Google Street view from a few years ago. Below work underway. This entry was posted in Streets & Roads and tagged Building works, Hinton Road, Loughborough Junction, Wingmore Road. Bookmark the permalink.